It just wouldn’t be Christmas without a good old name puzzle! Christmas activities are in full swing over here, and with Benjamin just beginning to learn his name it is perfect time for this Christmas tree name puzzle. We actually did 3 years ago with Sam! Here’s the original post – I hope you and your little ones love it. Sammy’s love of puzzles is growing and growing. I love it – because there are so many benefits of puzzles. To take full advantage of this wonderful new interest, I am sneaking in even more learning. We have made a few name puzzles lately, like this pumpkin name puzzle for Halloween. 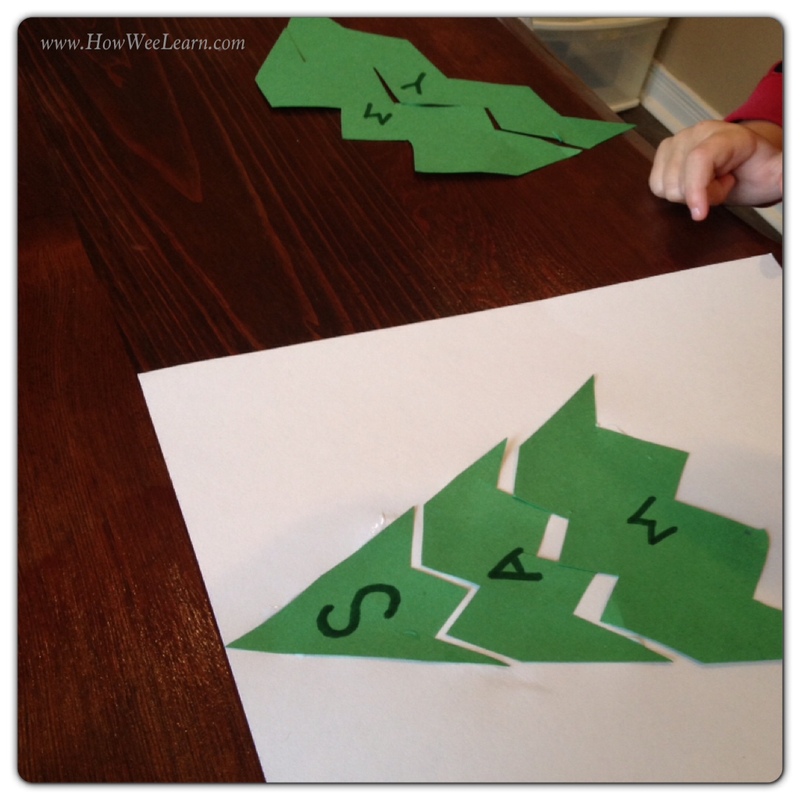 We love preschool Christmas projects so thought a great one would be to come up with Christmas name puzzles. Santa: Maybe a letter on his hat, face, beard, and so on. But this one would take quite a bit of prep so may not be ideal for Preschool Christmas Projects. 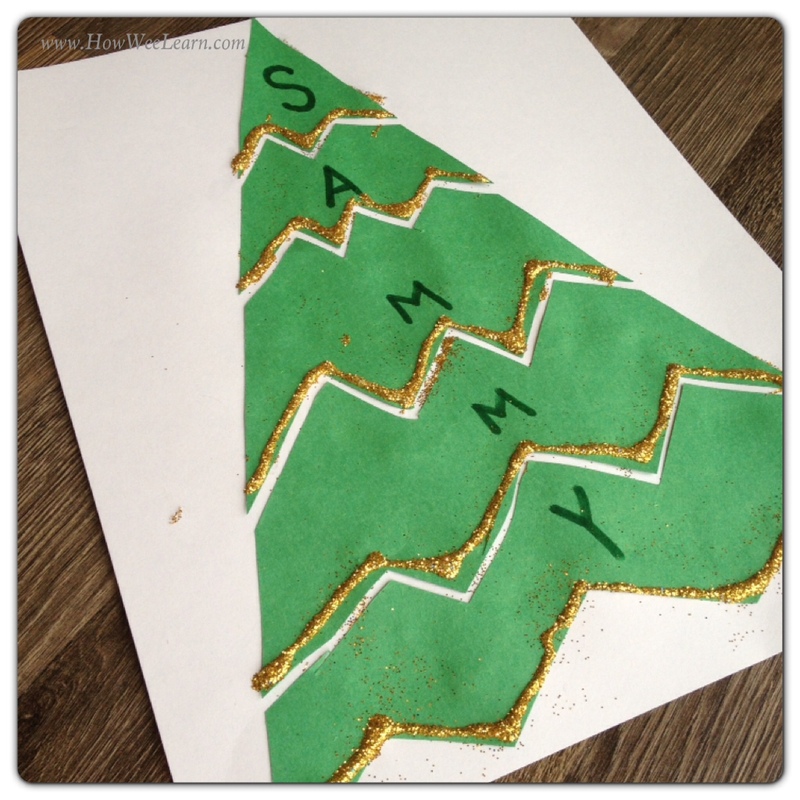 First I drew a large triangle for the Christmas tree and split it into 5 parts (because Sammy has 5 letters in his name). I did zigzag lines because that was a skill I thought he could use some practice with. Curved lines or straight line, would work just as well. Preschoolers without great scissor skills yet could even just tear the paper, practicing their pincer grip. 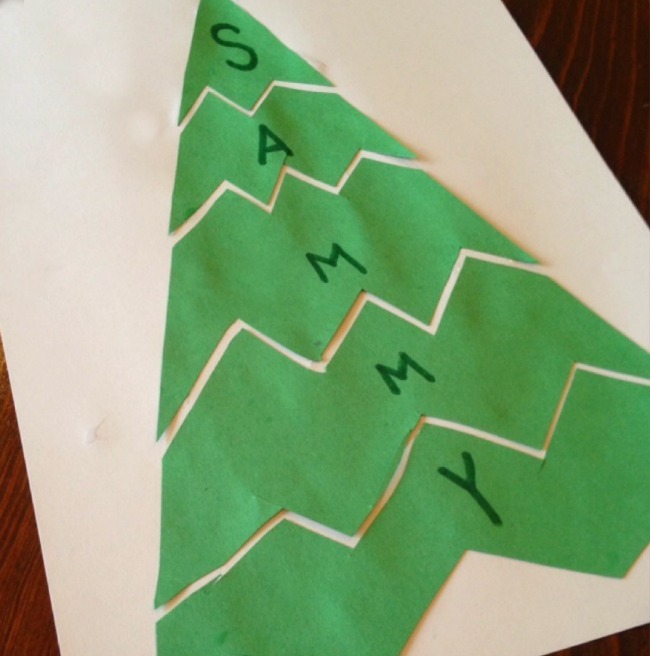 Next, Sammy cut out his Christmas tree name puzzle. I helped him by first cutting out the actual tree. 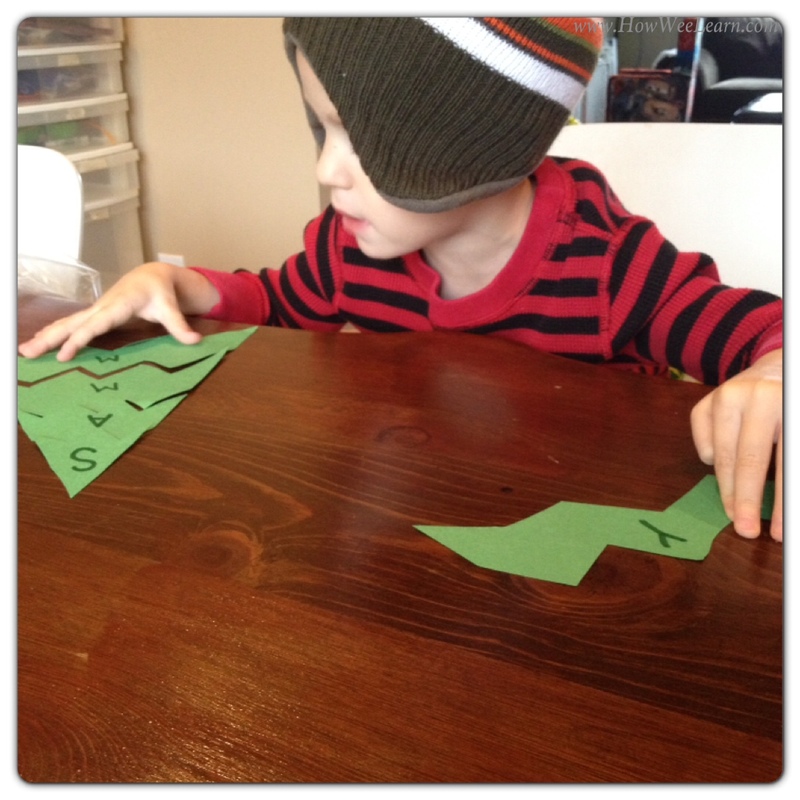 He then just cut each zigzag line (while wearing his new winter hat, of course). After, I wrote his name on each piece (in order) and mixed them up. He then built his name Christmas tree name puzzle. Building the name vertically was a different name recognition activity and really made him think about how his name would go. He then glued it to a piece of white paper, leaving a little space between each puzzle piece so it looked like snow was on the branches of the Christmas tree. That’s it! Well, at least that was all I intended, but glitter had been left on the table from a craft with Madeline on the weekend, so of course we had to add some glitter too – for the Christmas lights, you see. Preschoolers and glitter. 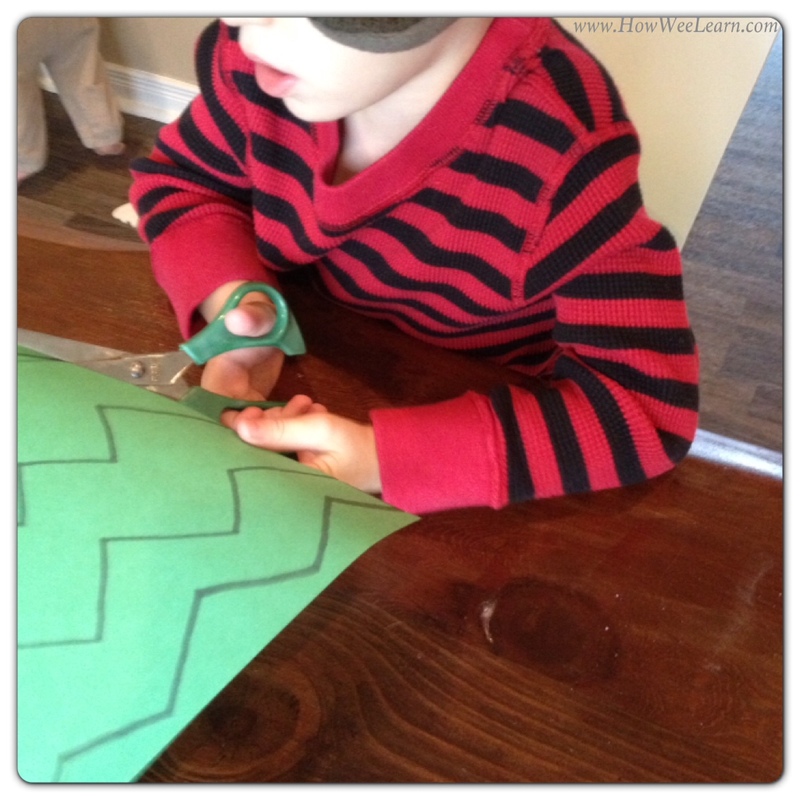 Preschool Christmas projects are a fun way to get wee ones excited about learning. The trick is to find activities that can be completed independently without too much trouble. These Christmas name puzzles would work quite well, as they can be easily adapted to everyone’s capabilities. Sammy loves his Christmas tree name puzzle so much that I wish we didn’t glue it so quickly. I think we will make another so he can play with it, building his tree again and again. 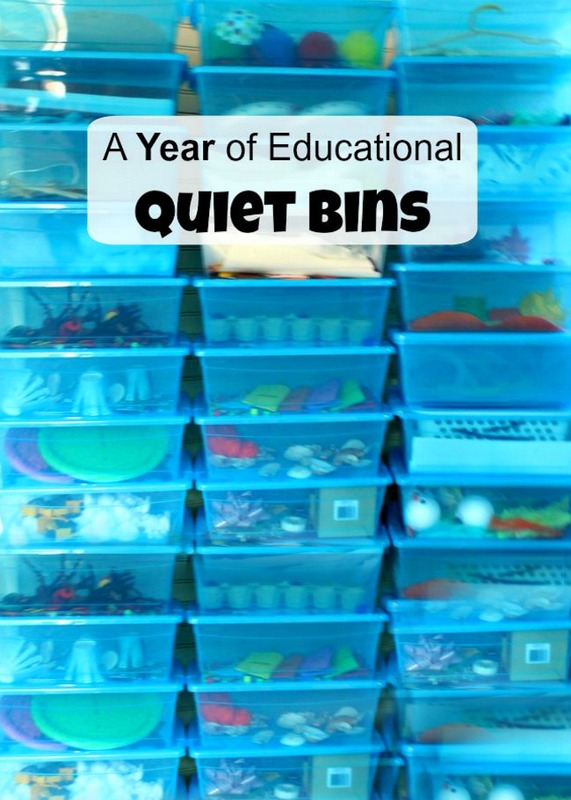 Wee Learning for All Ages: This activity is great for all ages. Putting contact paper over the tree and using dry erase markers would make this a great activity for bigger kids to practice sight words, math facts, and skip counting too! Looking for other Name Puzzles? Here is a cute Photo Name Recognition Puzzle from TOADally Tots. Please consider liking us on Facebook so we can share more creative ideas with you and your wee ones! Wow…Good work Sammy, love your tree… I couldn’t have done it better myself.. This is a great idea and one I’m sure my little boy would love to do – thank you for sharing. Thank you for visiting – so glad you like this name puzzle! Yes, I am always looking for ways to add in a bit of scissor practice! Thank you for the compliment Emma! 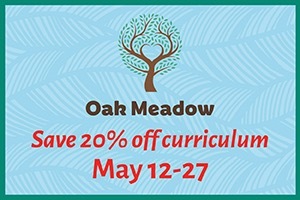 Love this idea and easily adaptable to other seasons/holidays/themes! Thanks for sharing! Pinned! 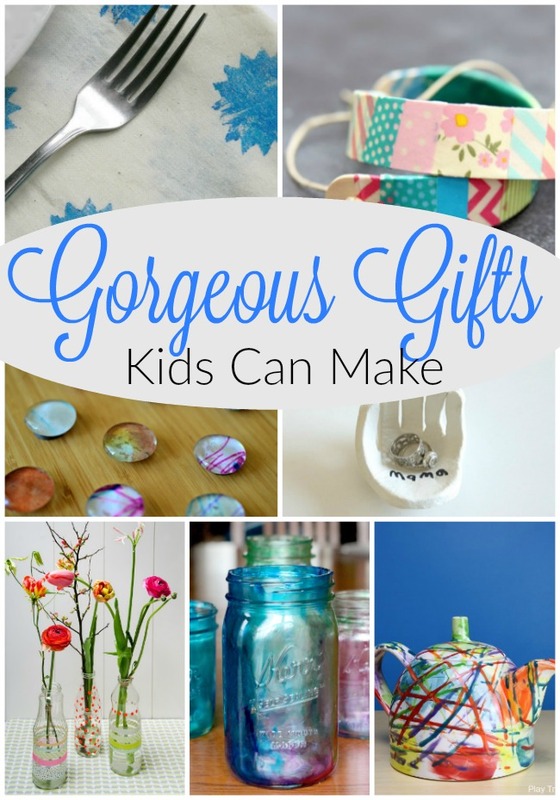 Thank you Meredith – and thanks for pinning! Absolutely love this learning Christmas Craft. And it would look great hung up on the mantle too! Thanks so much for sharing your idea at Mom’s Library! Pinned. So glad you like it! Super simple. Thanks for having us over to link! Love activities that cover many areas; fine motor, letter recognition, and sequencing letters to make their name! Can’t wait to do this with my kiddos.